Spacious and comfortable one-bedroom apartment will welcome you either after a long day exploring the island or after a lazy day spent at the swimming pool. It is placed in an hotel/resort surrounding with music and activities throughout the day. You can find a family of green parrots in the area so get your camera ready! Transfer service from/to the airport, please ask for more details. Since I am a photograph lover, I enjoyed decorating the apartment with some canvas I personally photographed in Terenife… if you like them just let me know and you can bring a bit of Tenerife with you. Access to the swimming pool, volleyball field and archery area. Restaurant and bar available for guests, consult price. Excursions organized at the reception, consult price. Free parking inside: I will give you a remote control for the automatic gate, in case of loss or displacement, there will be a 50-euro charge. 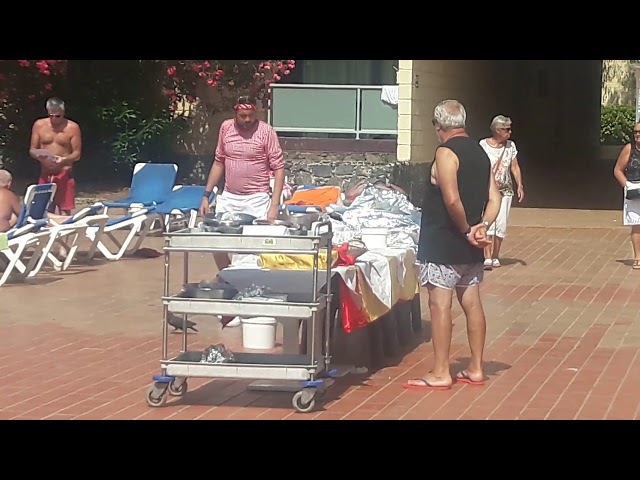 Security guards in the resort. Normal check-out at 12:00 but please ask me if you need a late check-out and I will try to arrange it for you. You can contact either me or my wife Teresa during your stay.